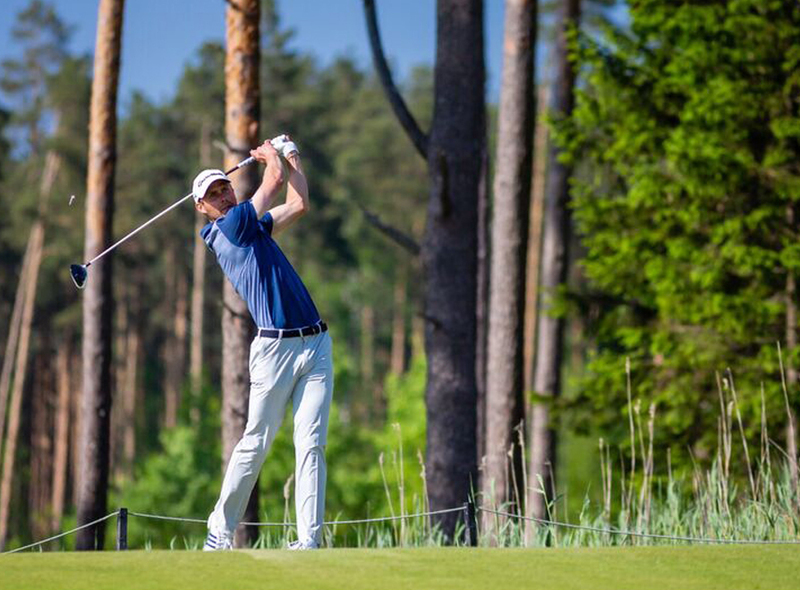 Today we introduce you one of our loyal customers – professional golf player Mark Suursalu. Although Mark is mostly known as a professional golf player, he also values tasty and healthy food. We asked Mark about the connections between golf and food, his food preferences and also what brings him to Da Vinci restaurants every day he is in his home country. Mark often spends half a day at the golf course: one round lasts for app. 5 hours, and before that there is at least an hour of warm-ups. While playing, Mark also has to plan his mealtimes so that his energy level would not drop during the competition. Quite often he starts thinking about food about two or three holes before the end of the game. “Sometimes you have a fairly good game and then just a bit before the end you feel hungry, and this has an effect on your concentration,” he says. He says that nothing helps to prepare for a long day at a course better than a proper breakfast. “I really don’t hold myself back there,” Mark admits, “since sometimes lunch seems so far away.” Some tournaments start in the afternoon and then Mark often has pasta for lunch to keep his stomach full for longer. When he goes to the course, he packs nuts, fruits and snack batons with him. “There are no specific breaks for meals, but there’s enough time to have a little snack.” One of the most common snacks at the course is banana, and these are often offered in the start as well. “Lately I’ve also started to eat dates. Then I have a better grip holding my golf club,” he laughs. In the past three years, when Mark has been in Estonia between the competitions, he has often visited Da Vinci restaurants. Mark says that during the training period he has a relatively strict schedule. Usually he starts his day in the gym, from where he heads to either Rocca al Mare or Kristiine Da Vinci restaurant to have his breakfast. With his stomach full, he goes to the golf course. Sometimes, after his training, Mark has enough time to have dinner at Da Vinci’s or he takes it from there to go. While dining at Da Vinci restaurants, Mark’s favourite meal is chicken fillet with vegetables and tomato and rocket salad. In summer time, Mark enjoys Da Vinci’s pistachio ice cream. “Luckily the menu is varied enough, so I don’t get fed up with anything even when I visit the restaurants very often,” Mark expresses his satisfaction. When we ask about his food preferences, he says that he actually likes eating everything. However, in his everyday diet Mark puts an emphasis on eating fresh fruits and vegetables. “When the plate is colourful, then everything’s good,” he summarises his preferences. We wish Mark a firm grip and a targeted ball-flight and hope to see him at Da Vinci very soon.